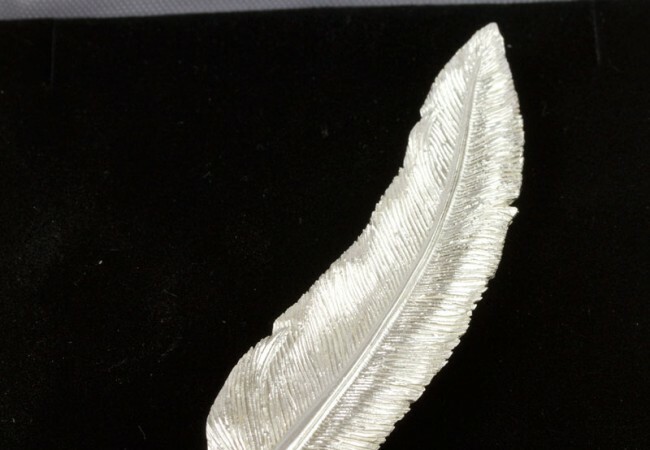 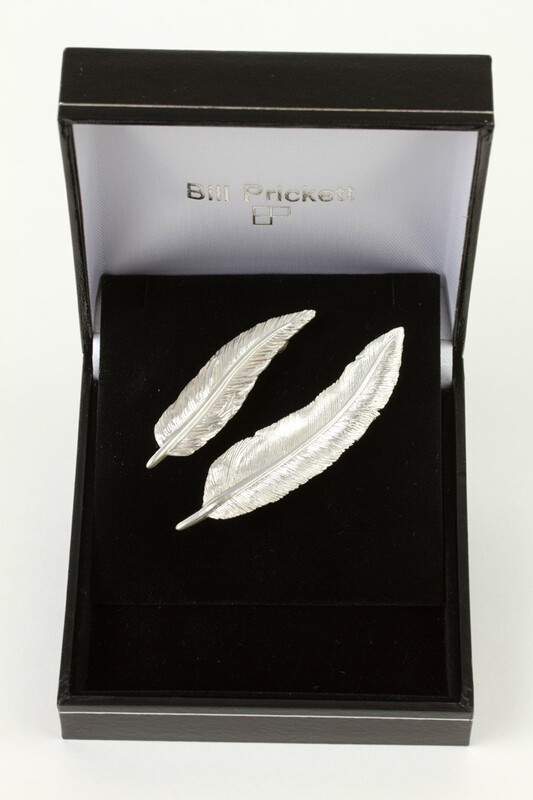 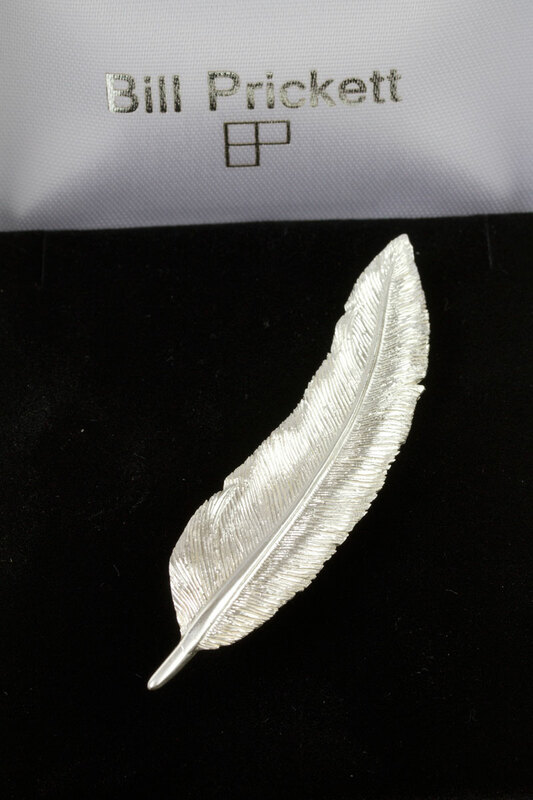 Silver Feather Brooch by wildlife artist Bill Prickett. 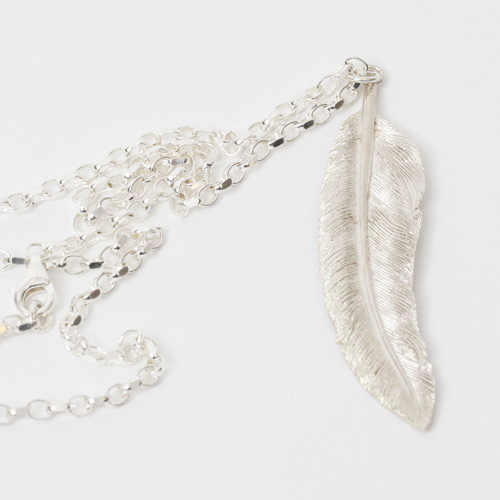 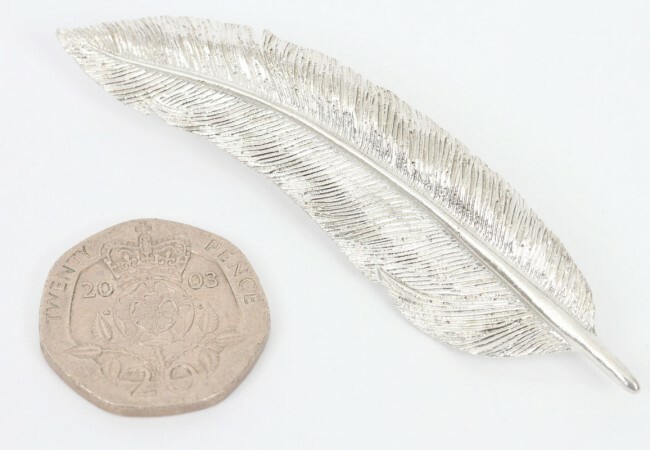 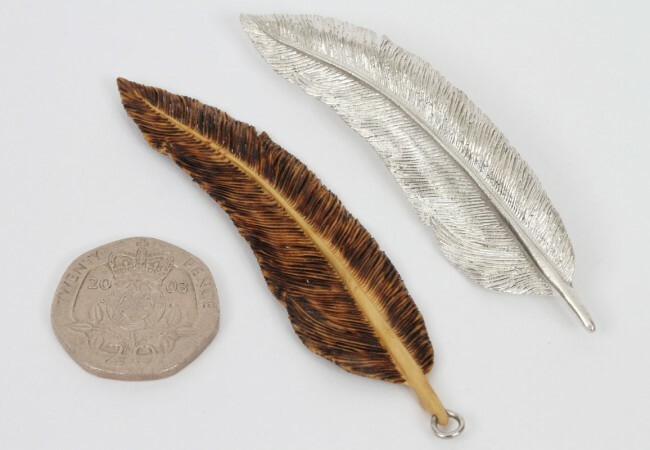 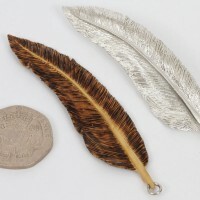 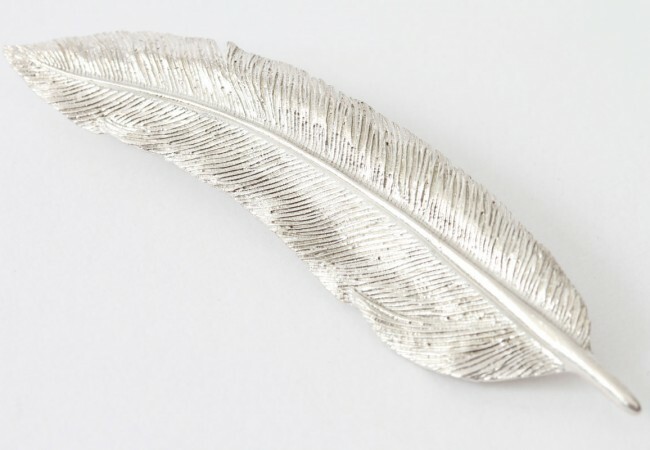 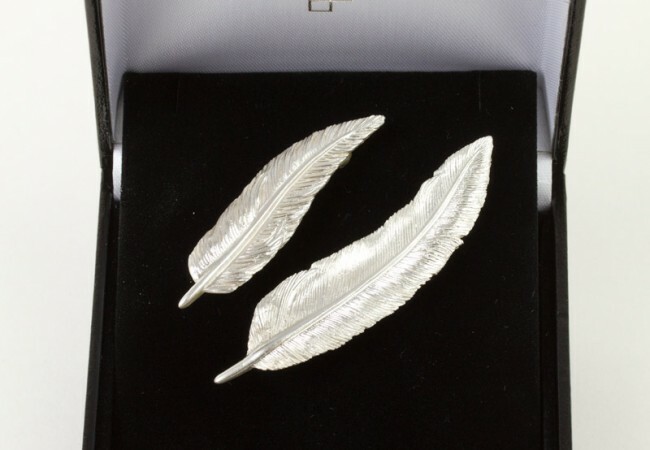 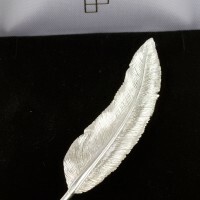 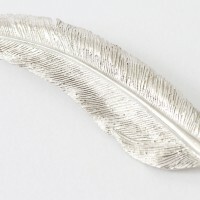 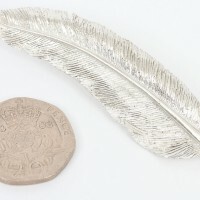 This sterling silver feather brooch also comes in a different, smaller design. 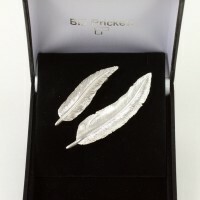 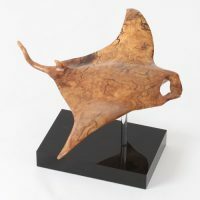 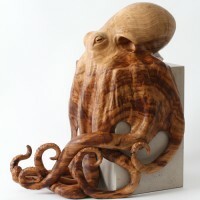 Both are supplied in a good quality black, satin lined box and would make a lovely gift. 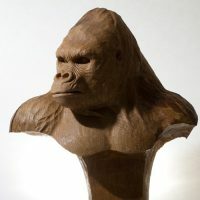 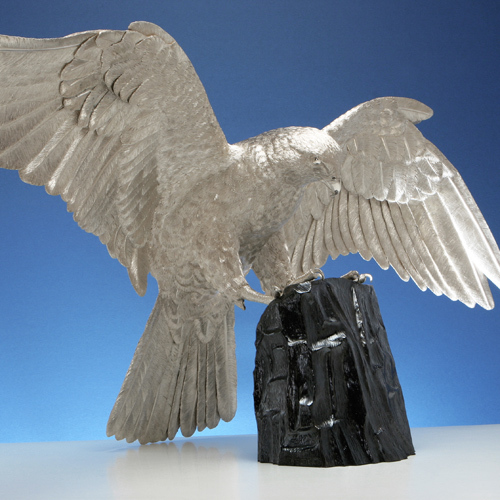 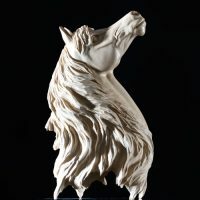 We have sourced a UK silversmith who specialises in producing small, high quality, low quantity castings. 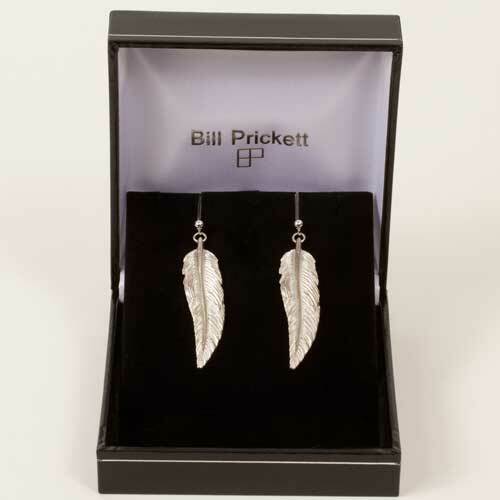 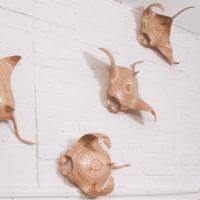 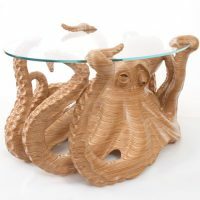 The feathers are hand chased by Bill. 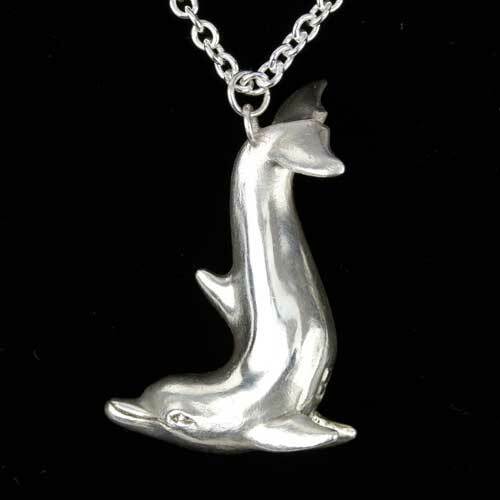 We also have a matching silver pendant.